Fire Department Medal, 1st cl (gold) with a ribbon bar. 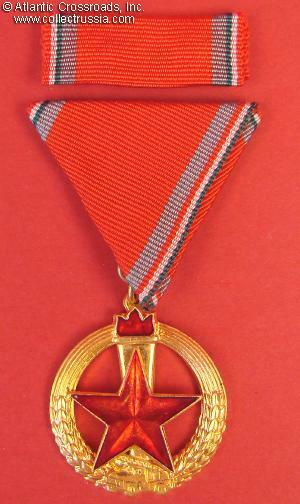 Fire Department Medal, 1st cl (gold) with a ribbon bar. 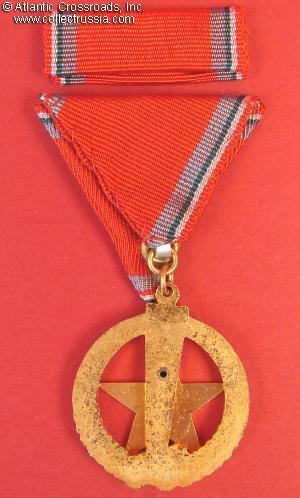 ; in gilded brass and enamel; circular wreath with vertical torch and fire truck at the bottom, superimposed faceted red star in the center; red ribbon with gray stripes along the edges.